We educate the children about e-safety through the Computing and our wider Curriculum, participation in Safer Internet Day and Anti-Bullying Week and by linking work to our values of Respect, Courage, Compassion, Perseverance and Unity. We are also now proud to announce that we are an e-Cadet school! Click the E-cadet link below to find out more. Click below for useful links for children and parents. (Please check these links and content beforehand to ensure they are suitable for the age of your child). There are also links on the Children's pages. ThinkUKnow Guide to internet safety and safe surfing for young people from Think U Know. 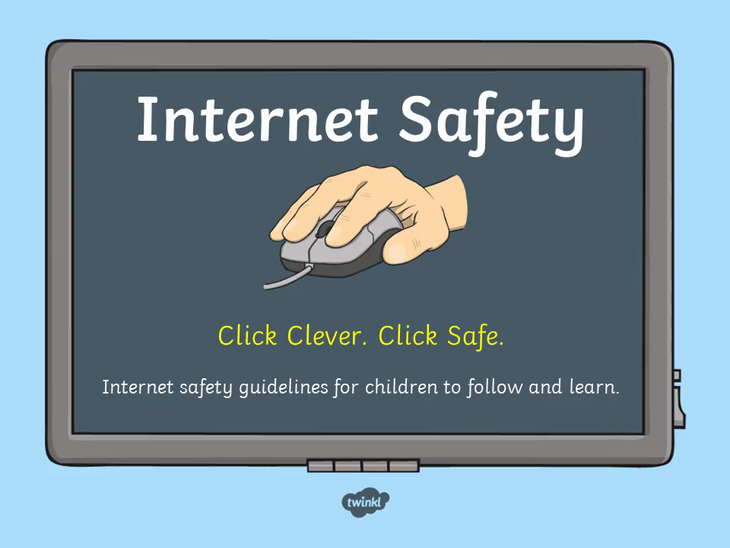 Learn about online safety when using blogs, chatting, online gaming, P2P and more. Think U Know 5-7 years old Think You Know has created a website for children aged 5-7 help you go on the internet in a safe way and know who to talk to if you are worried. CBBC Stay Safe Here are the tips and tricks you'll need to stay safe online, beat the cyber-bullies and become a super-surfer. KidsSmart Lots of online resources for parents and children to help stay safe on-line. The Safe Schools and Communities website Click here for a link to the Safe Schools and Communities website.